Impact Label is a highly-visible device that will activate when an impact level exceeds a predetermined level. When mounted on the external packaging, the device visually alerts everyone involved in the packaging handling process that additional care is required. Impact Label can also be mounted inside the packaging, directly on the product it is monitoring. The contents of a package will always experience less impact than the package because of the dampening characteristics of the package. 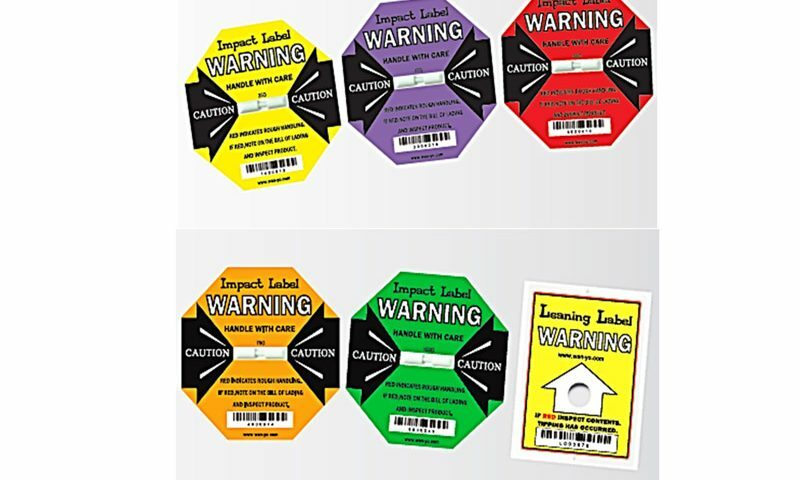 Affixing the Impact Label directly on the product allows you to more accurately determine if an impact was damaging the product. 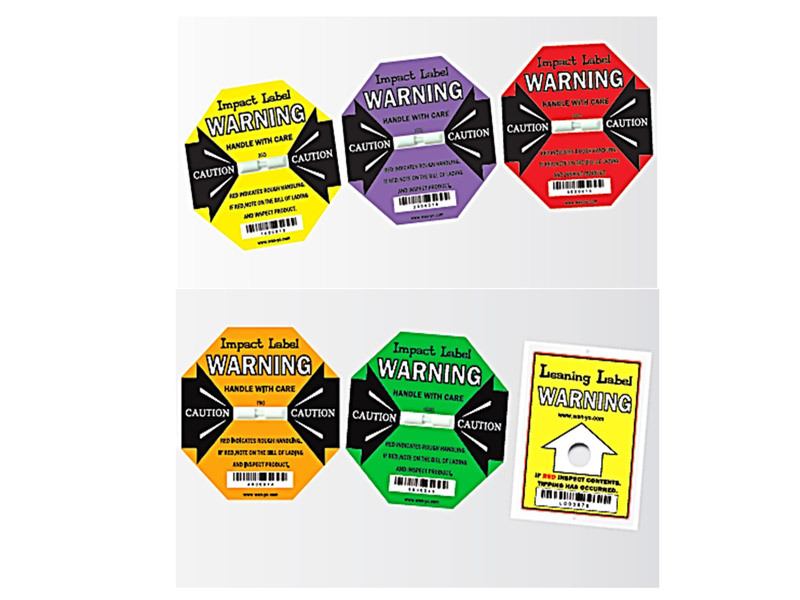 Leaning Label detects and records unacceptable tilting on goods that must remain upright. Once mounted on the packaging, the Leaning Label will provide evidence of mishandling if the shipment is tipped. However, it remains unaffected by movement due to normal handling conditions.